You need! 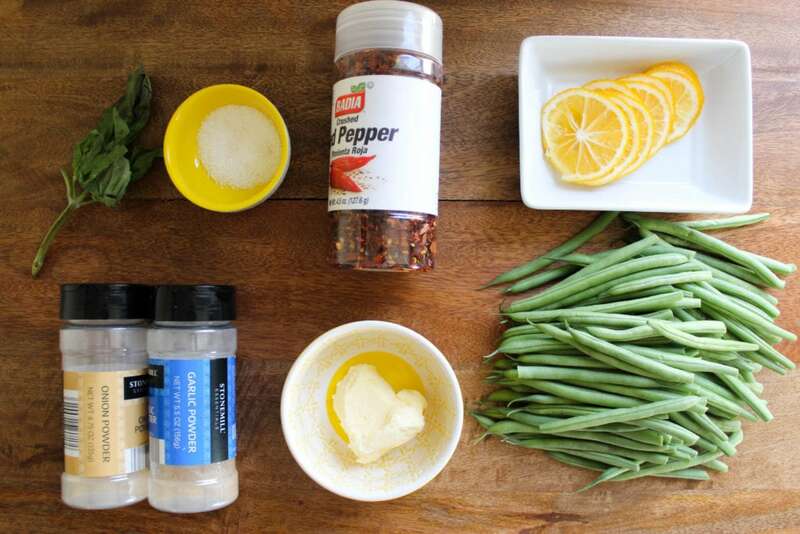 Green beans, the thinnner the better. Then butter, crushed red pepper, salt, onion and garlic powders. Meyer lemon for broiling (sliced as thinly as you can get it) and basil for garnish and we’re good to go. First, move your oven rack to the center of the oven, about 8 inches below the top. 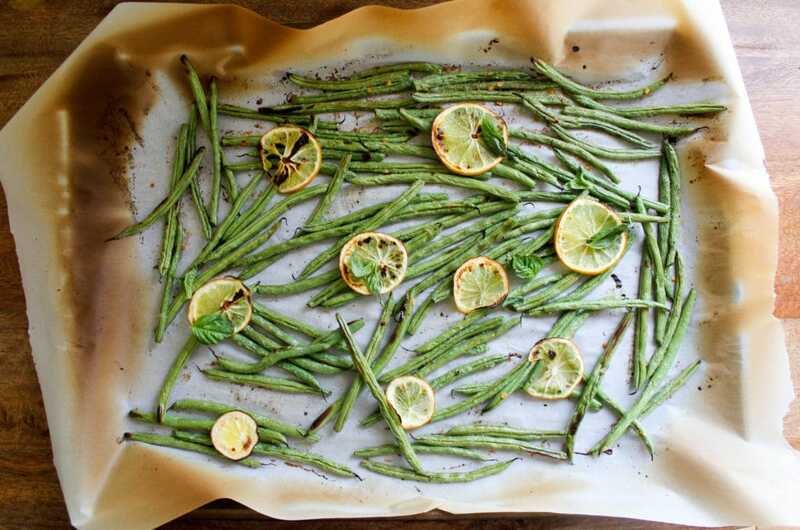 Turn the broiler to high, and grab a baking sheet. I broil these on parchment paper for easy clean up, but regular cooking spray is fine. 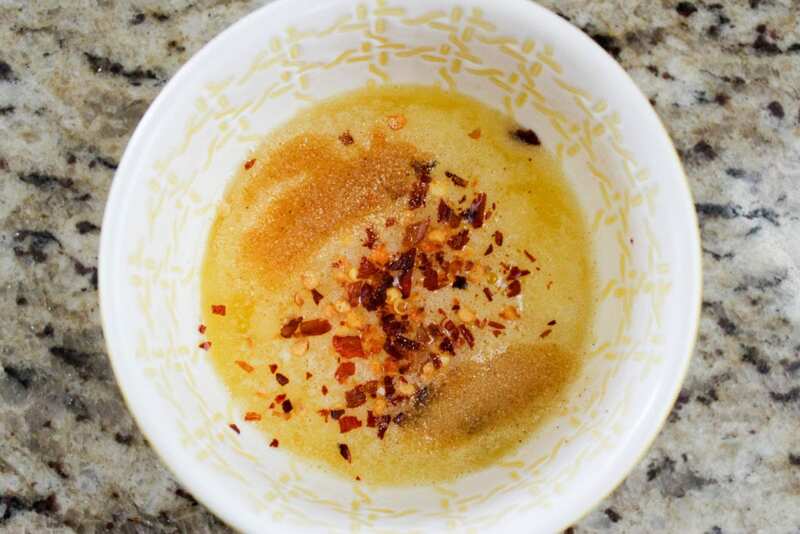 Melt the butter in the microwave for about 30 seconds, then stir the spices to make a gloriously flavorful melted butter mixture. Pour that over the green beans. Then mix! 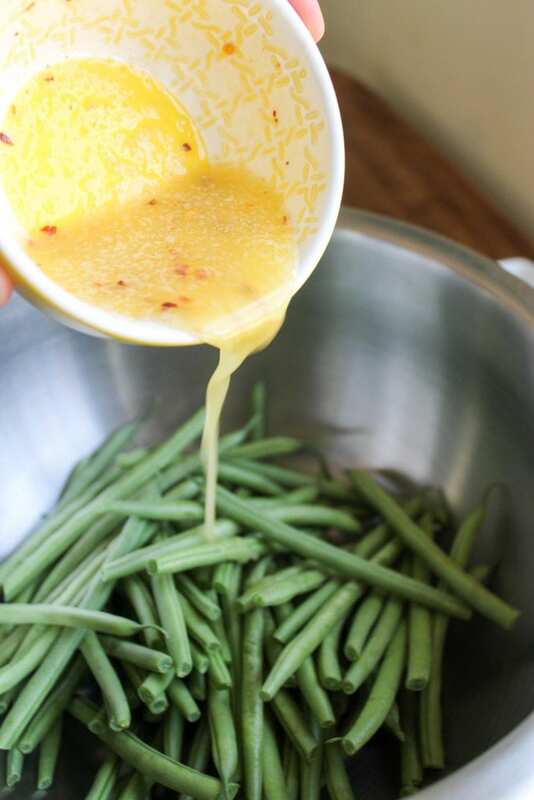 Stir the butter into the beans to coat them evenly. 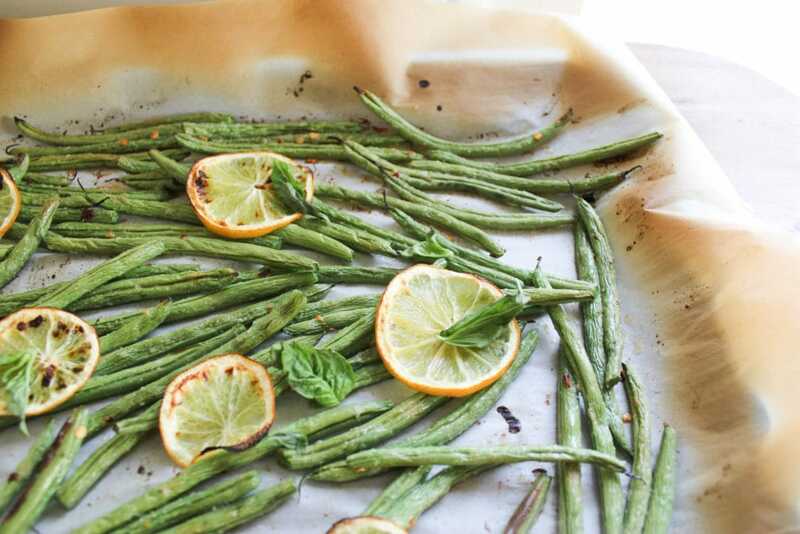 Arrange the beans in one layer on the baking sheet, then scatter the Meyer lemon slices all over the pan. Now, broil! I have a long time frame here because broiling is so dependent on your oven. These too 11 minutes, but I’d say check your beans after 6-7 minutes and then again every minute or two so that you don’t burn the beans. 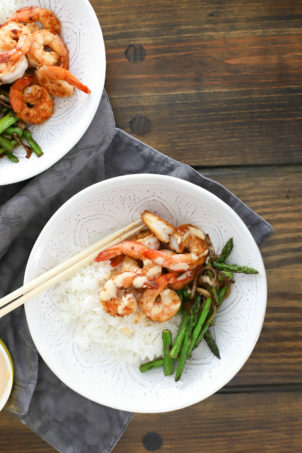 We’re looking for charred edges, juicy lemon slices, and soft green beans. Top with basil leaves, and done! 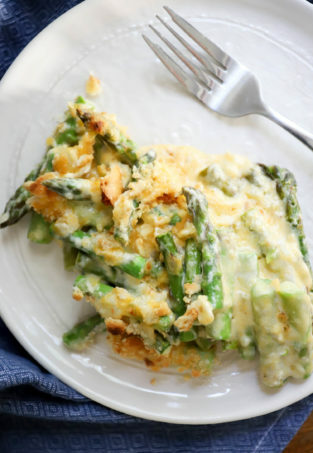 This is so very simple but really delicious and almost annoyingly springy, but is spring ever annoying, or just welcome? Arrange an oven rack to about 8 inches from the top, and preheat the broiler to high. 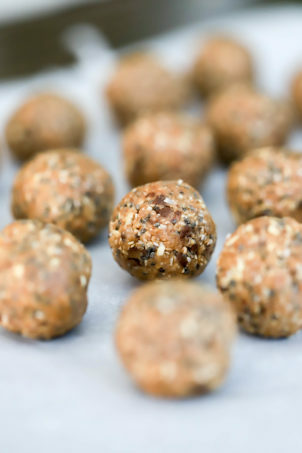 Prepare a baking sheet with parchment paper or cooking spray. 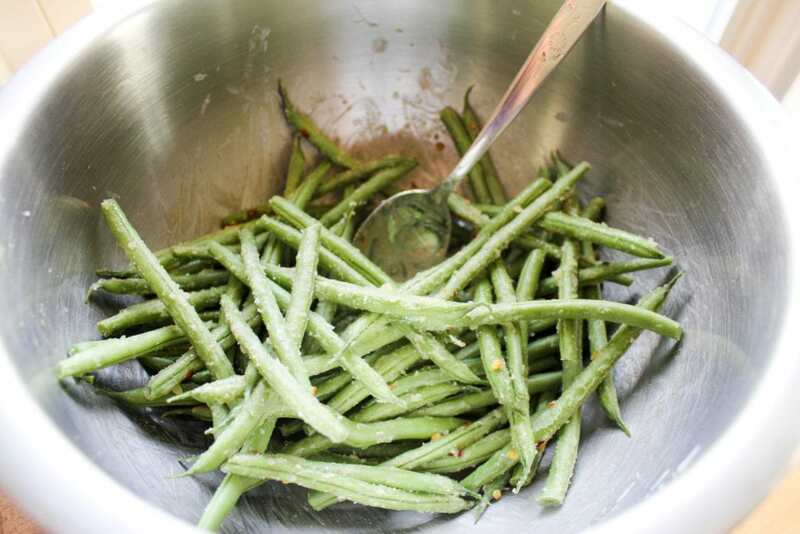 Place the green beans in a medium bowl for mixing. In a small bowl, melt the butter in the microwave for about 30 seconds. Stir in the onion powder, garlic powder, salt, and crushed red pepper. Pour the butter/spice mixture over the green beans and toss to coat. 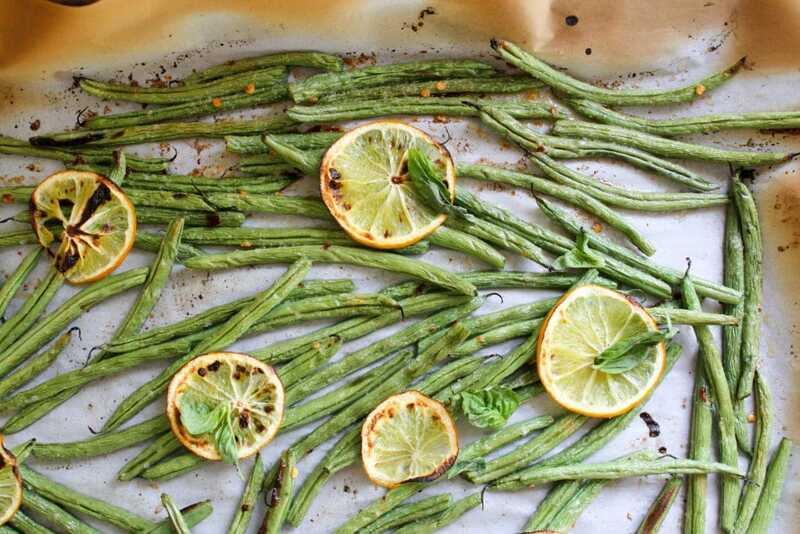 Spread the buttered green beans on the baking sheet in one even layer. 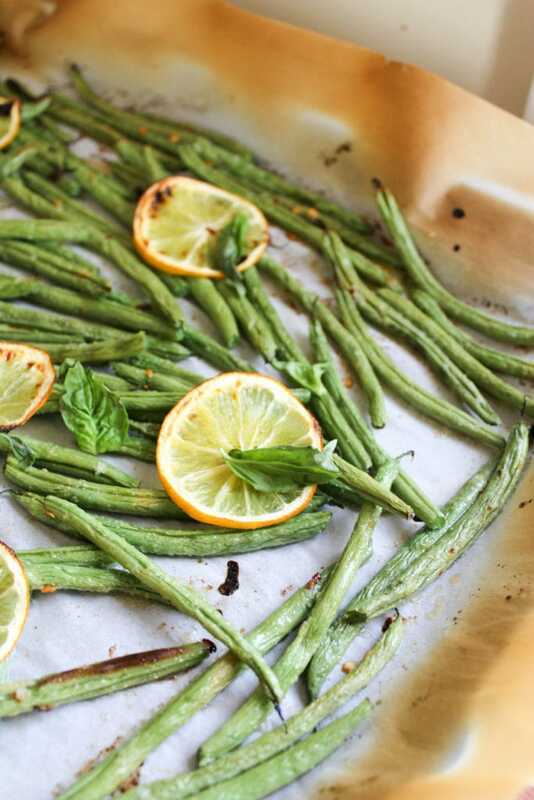 Place the Meyer lemon slices directly over the green beans. Broil for 8-12 minutes (this depends on your oven), checking after 7 minutes to be sure the beans blister but don't burn. My green beans took 11 minutes to char and cook through. 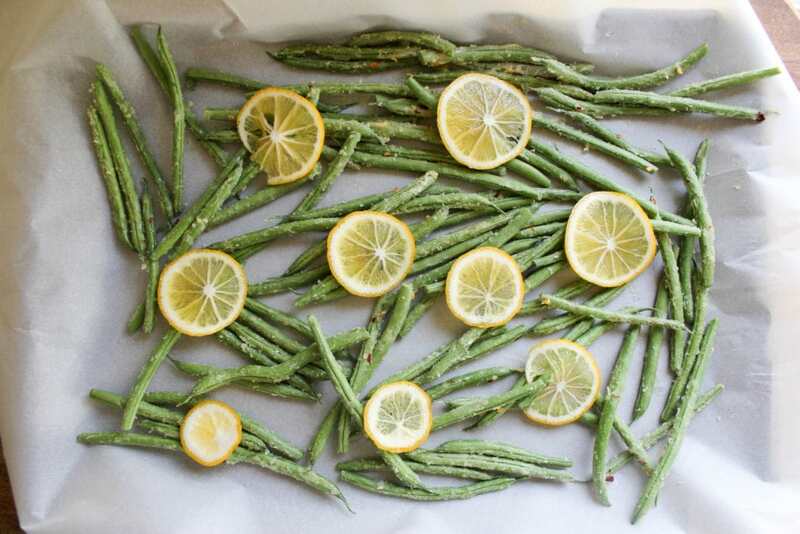 When the beans are soft and dark at the edges and the lemon slices have started to caramelize, remove from the oven. 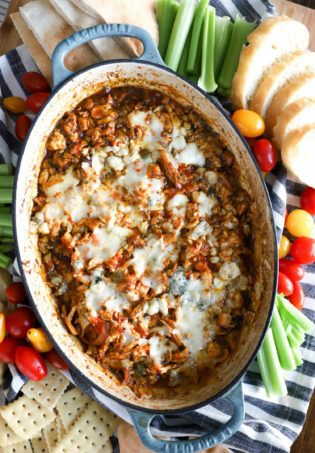 Scatter the basil leaves over top and serve while hot.